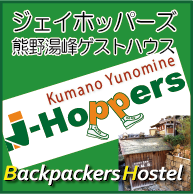 Iwashimizu Hachimangu shrine, founded in 860, was selected by Central Japan Railway Co. (JR Tokai) for the 2013 summer Kyoto sightseeing campaign. The special summer night admission is the first ever for the shrine. 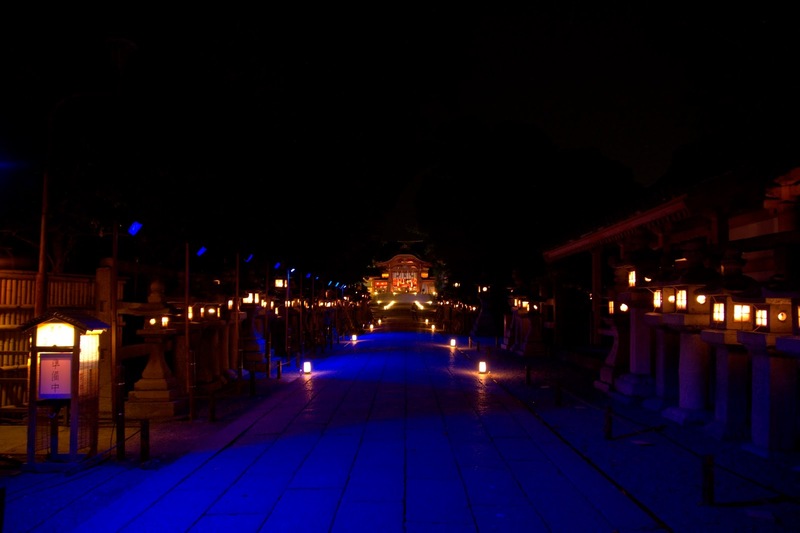 The shrine is illuminated between the hours of 7 p.m. and 9:30 p.m. from July 13 to Aug. 31. 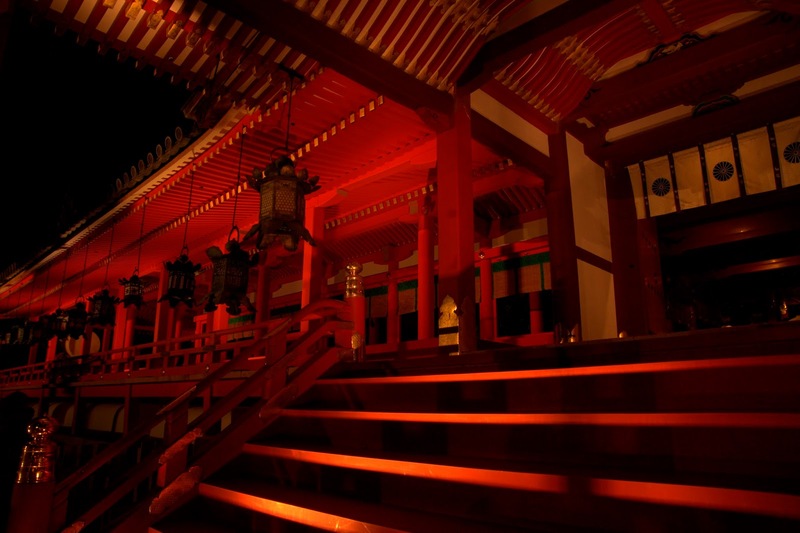 Iwashimizu Hachiman-gu Shrine is one of the three most important Hachimangu shrines of Japan. 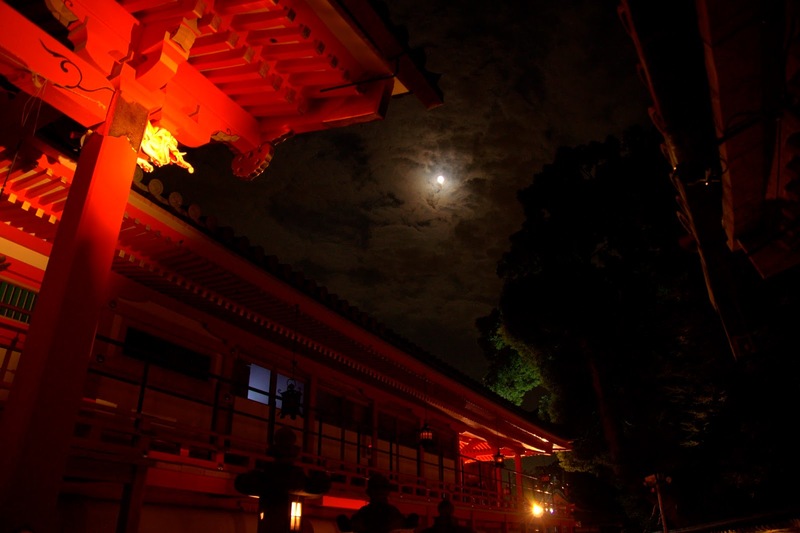 The main vermilion-lacquered shrine building, which was remodeled in 1634 by the third shogun, Tokugawa Iemitsu (1604-1651), gives off a brilliant glow. 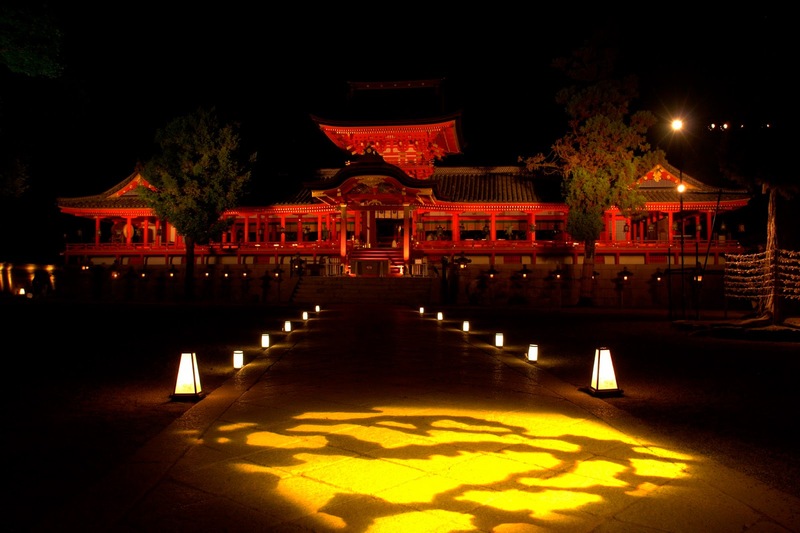 Sculpted in the gorgeous Momoyama style, the entire building is designated as an Important Cultural Property.